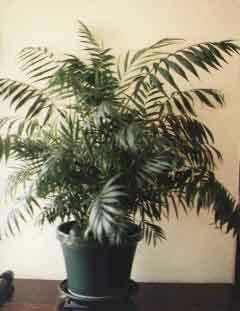 Description: Also known as Neanthe Palm. One of the most popular palms of the world. Its ability to put up with low light, drought and general abuse is legendary. Flowers when quite young and is ideal for indoors.